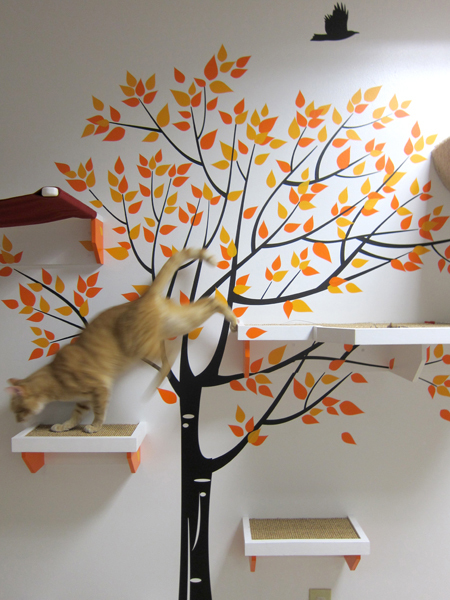 Our cats are beloved family members, and creating comfortable, safe areas for them in our homes is key. We all want to feel "at home" when we're at home, right? 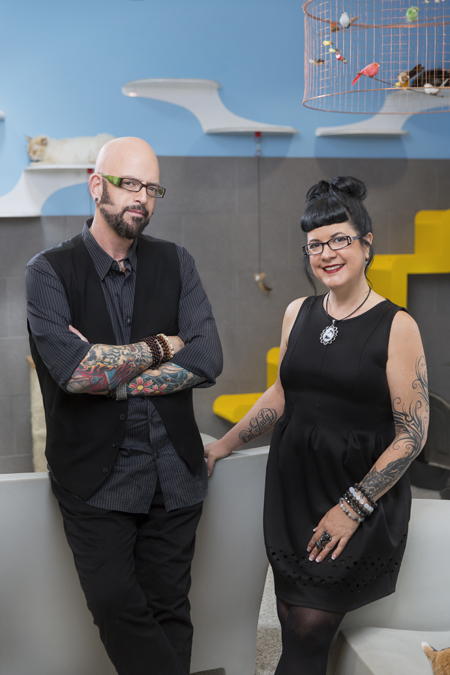 Nobody knows more about getting inside a cat's head, and designing feline-friendly spaces than Jackson Galaxy and Kate Benjamin. 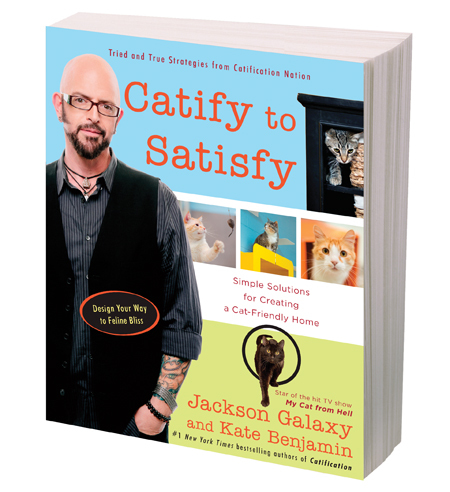 I was super excited to receive a review copy of their newest book, Catify to Satisfy: Simple Solutions for Creating a Cat-Friendly Home. It's the perfect follow-up to their first collaboration, the New York Times Bestseller, Catification: Designing a Happy and Stylish Home for Your Cat (and You). Jackson and Kate, the dynamic duo! I want to do cool things for my cats, but I'm someone who becomes easily overwhelmed with the prospect of DIY projects. Plus, I've never really considered myself a handy person. When I get the confidence to try something, I always surprise myself. What he heck? I am kinda handy! "Kinda" is the key word here -- but still, it's a start! I'll be straight with you. The main reason I'm in love with Catify to Satisfy is that it gives me complete confidence that I can indeed create interesting, fun, and cat-friendly areas in my home. I feel like Martha Stewart when I read this book ... except without the prison background. The book of packed with photos, along with detailed instructions for creating simple design tricks to enrich your cat's environment. Jackson and Kate are the perfect team because he focuses on teaching us about cat behavior and the reasons behind cats' preferences, and then she shows us easy and advanced ways to support the behavior by using our creativity and applying the coolest design hacks. She had me at "hack." I can do "hack"
I especially connected with the "Faces in the Nation" sections that feature how real people, inspired by love for their cats, created unique catification projects. Their stories are heartfelt and fun, and they demonstrate the variety of ways we can each put our personal stamp on our passion projects. 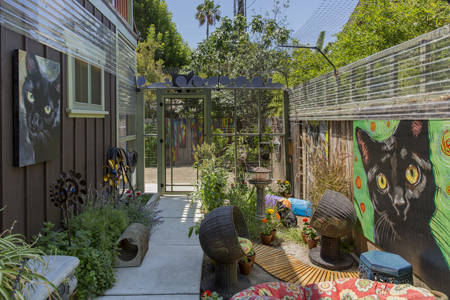 Catification can happen indoors and outdoors. 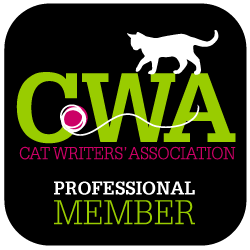 Catify to Satisfy is a must-read for anyone who shares their space with a cat. It's educational, inspiration, and a totally fun read. Enter via the Rafflecopter widget below. Giveaway runs now through midnight Central, November 26, 2015. I was given a review copy of Catify to Satisfy; however, Catladyland only shares information we think would be of interest to our readers. The opinions are our own.